Located at an altitude of 4000 metres in the Kangra Valley, Dharamshala is one of the most popular hill stations in the country, known for its scenic beauty. It is surrounded by green dense forests and pine cultivations. It also provides a range of activities for visitors in addition to the gorgeous, massive, snow-capped peaks. The name of the town also has its roots in Buddhism and Hinduism. 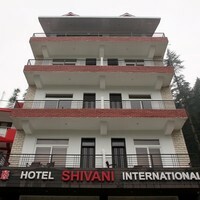 The popular hill station is visited by innumerable tourists from all parts of the country around the year. 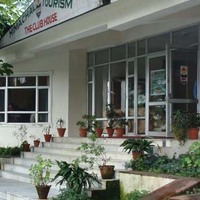 However, the best time to visit Dharamshala is from May to October. 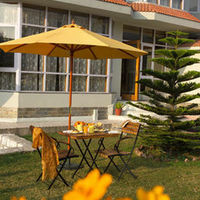 Dharamshala is also one of the most popular honeymoon destinations in India. With rich valleys and giant peaks, it also boasts of many mythological and religious shrines alongside the famous Dal Lake. All these attractions are surrounded by a number of hotels and resorts that provide a jaw-dropping look and feel of the hill town. 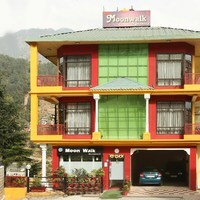 Finding 3-star hotels in Dharamshala is made easy by our travel site. The hotels listed with us are some of the best in class and at the same time, affordable. When you are on a holiday, it is imperative to have a comfortable stay without compromising much on the facilities and the budget. 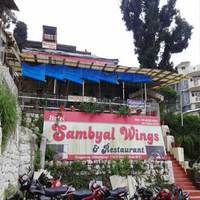 Hence, there are many 3-star hotels in Dharamshala that provide you with not just the basic amenities but also additional perks and facilities that you deserve. All these perks are provided at reasonable prices, too. Classic views of the Himalayan ranges with stunning scenery on display can add to the excitement of your trip. The many services offered by these hotels are room service, housekeeping, laundry and travel desk. The hotel rooms have nice dcor and furnishings. Fully air-conditioned rooms with flat screen TV, free Internet, telephone and a heating system installed in the room ensure absolute comfort. In-house restaurants serve multiple cuisines adding to the enjoyment. Parking and car rental facilities are available alongside pick-and-drop services. Additionally, gym and spa facilities in some hotels along with gaming zones are added perks. 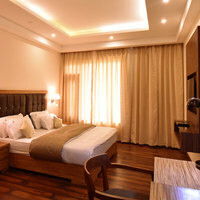 If you are looking to make your trip to Dharamshala really special, then hurry up and book your hotel to enjoy the best deals available on Cleartrip. 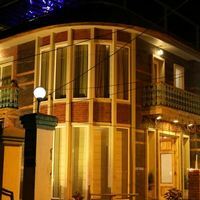 3-star hotels in Dharamshala are the perfect option as they provide the amazing views of the city with great services on offer. Your entire burden to find the best hotel with great deals is made easy by Cleartrip, as it lets you compare the hotels, rooms, and other services, allowing you to choose the one that is best suited for you. 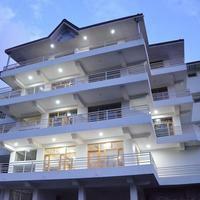 Some great hotels in Dharamshala are The Quartz , Hotel Chamunda , Hotel King Castle , and Hotel Dharamshala Paradise . 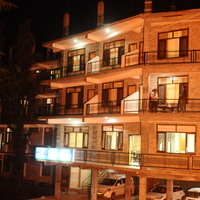 These 3-star hotels in Dharamshala have various room types, such as deluxe rooms, executive suites with balcony and dormitories. Each of them offers a ton of amenities that add value to your stay. 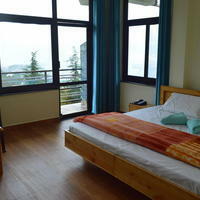 Make sure to compare the rooms based on size and category to find the ideal hotel in Dharamshala. By booking the room in advance and availing seasonal discounts, you can save much on expenses. Additionally, the reviews provided by the previous customers give you the option to choose the best stay. 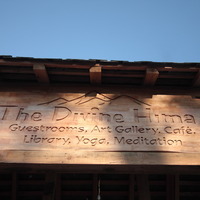 So, whenever you plan a trip to Dharamshala, do check the hotel listings and book as per your needs and budget. 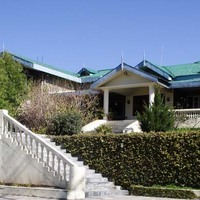 You can choose the locality you want to stay in and the facilities that are essential for you. Cleartrip will display only those options that are suitable for you. Best of luck!